La Plata is the perfect example of well-designed and modern city planning from the 19th century. Enjoy a full day exploring the architecture, culture, religion, and natural science of the city. As we explore the city, you will get to see the famous Neo-Gothic Cathedral of La Plata, which is the largest church in Argentina. Here will be several stops throughout the day, among them will be the Argentine Theatre and the Astronomical Observatory. The Observatory is positioned in the perfect location and region of the world to observe the transit of the planet Venus across the Sun. Afterwards, we will move on to what is sure to be the highlight of our trip, the University of La Plata’s Natural Science Museum. 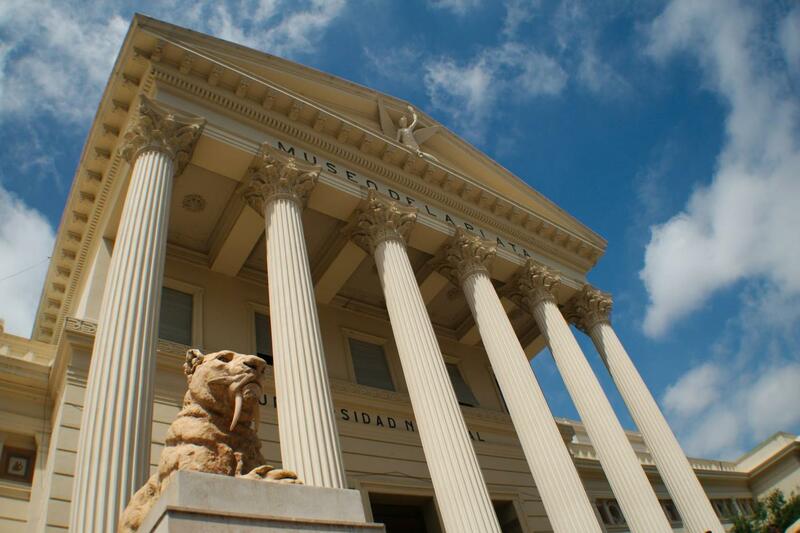 This is the most important museum of its kind in South America. Inaugurated in 1888, this scientific wonder hosts a collection of over 2 million objects and species from a various number of disciplines including: Paleontology, Anthropology, Geology, Botany, and Zoology. Discover Argentina inside out through the wealth of objects collected from around the country. If you are looking to gain a deeper understanding of Argentina’s history this is where you will get it. After the museum we will make our way back to Buenos Aires.